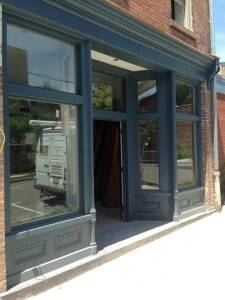 Newburgh’s Land Bank Revitalization Success Story begins with Architect Jeff Wilkinson. Jeff is a scholarly, enthusiastic and one might even say, activist participant in the renovation and restoration renaissance occurring in Hudson River small cities and towns. He has both owned and renovated properties in Beacon, N.Y. and Newburgh, N.Y., as well as worked on renovations in other historic towns along the Hudson, such as bucolic Garrison, N.Y., home of the Federalist-style estate, Boscobel. In addition to being an early stakeholder in the Beacon renaissance, Wilkinson also owned and renovated an historic home on Grand Street in the City of Newburgh. He was also a member of the city planning board, and eventually an owner of a renovated horse farm in the Town of Newburgh, the completion of which earned him the nickname of “farmatect,” he fondly recalled in a recent interview. 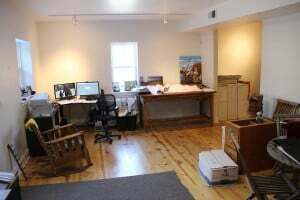 In 2014, Jeff Wilkinson, responded to a Newburgh Community Land Bank RFP for design services to rebuild 13 Chambers Street and 15 Chambers Street, which would eventually house the Land Bank’s offices. Once selected as the Land Bank’s project architect, Jeff began spending more time in the City of Newburgh. He saw the changes taking place in Newburgh, and he developed a renewed passion for the city. As Jeff worked with the Land Bank he learned about their mission and processes. 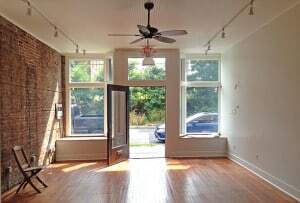 An early developer in Beacon’s revival, Jeff had “caught the bug” once again deciding to take on a new, smaller project in Newburgh. As the Land Bank’s office project neared completion, Jeff made a proposal to the Land Bank to purchase the 13 Chambers Street building. His proposal included his plan to put his office on the ground floor and develop low and middle-income apartments above. His plan fit neatly into the evolving emphasis of the city’s Planning and Development Department on Live/Work zones along with the Land Bank’s mission. Jeff noted that without incorporating local, county, state or federal incentives, it can be financially challenging to rehabilitate distressed historic properties in Newburgh. The Broome County Land Bank, which was awarded $150,000. 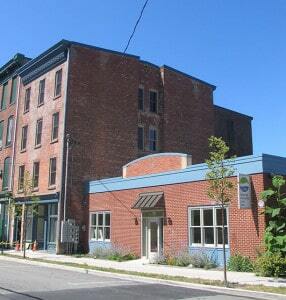 NYS Historic Properties Tax Credits. Qualifying for these and other programs requires exacting documentation and execution. For example, to qualify for the NYS Historic Properties Tax Credits, Jeff chose to maintain the buildings historic fabric/detail. This required recreating missing moldings, doors and details to match that which was found throughout the building. Jeff’s project and partnership with the Land Bank is part of the solution for making this neighborhood vibrant once again. And he has made some new friends who, like him, are broadening their experiences and empathy for a city in transition.